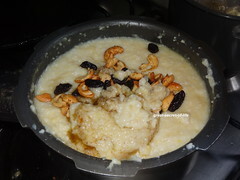 Last trip to India when I attended some function they served sakkarai pongal but it tasted very different. I asked for recipe. 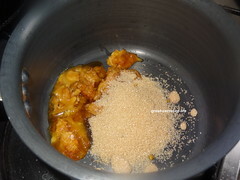 Both sugar and jaggery were used in the recipe in 50:50 ratio. 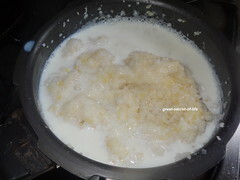 It tasted really nice. 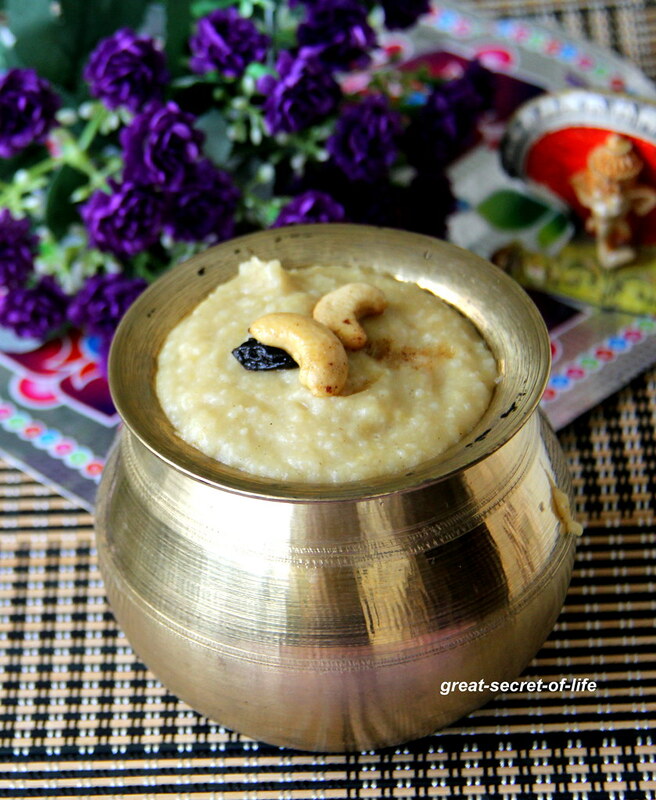 Even though I have posted Millet based sakkarai pongal I still want to post this using both sugar and jaggery in same recipe. 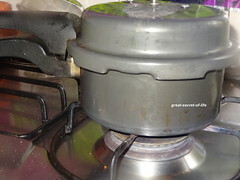 Normally I use either one not both in single recipe. 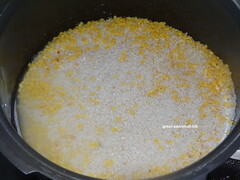 Dry roast Split yellow moong dal. 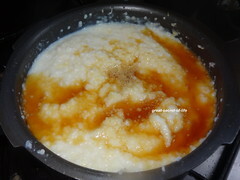 And soak it together with kodo millet for 30 mins. 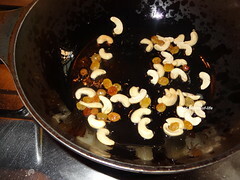 Heat ghee and add cashew nuts and raisin and fry till brown. 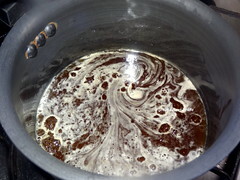 Add cardamom powder. 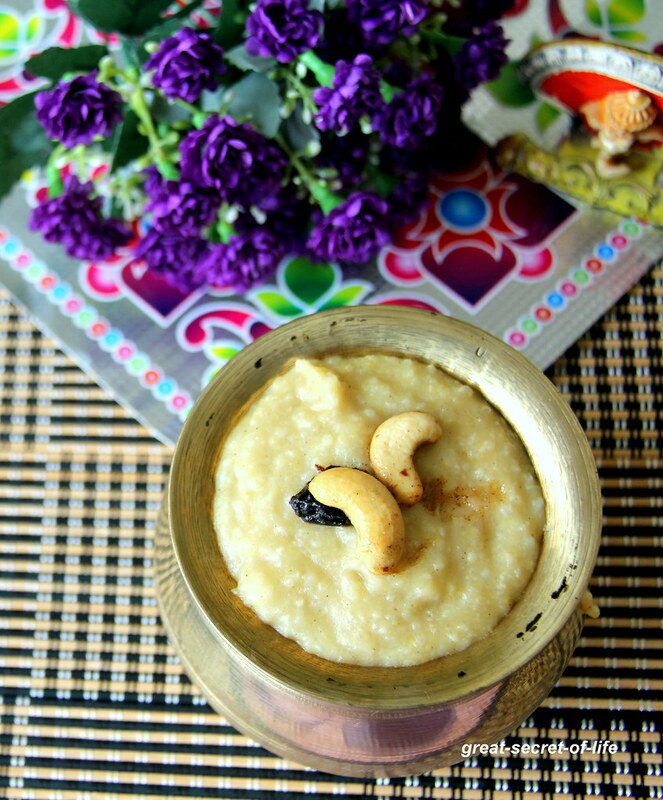 Pour this into pongal. 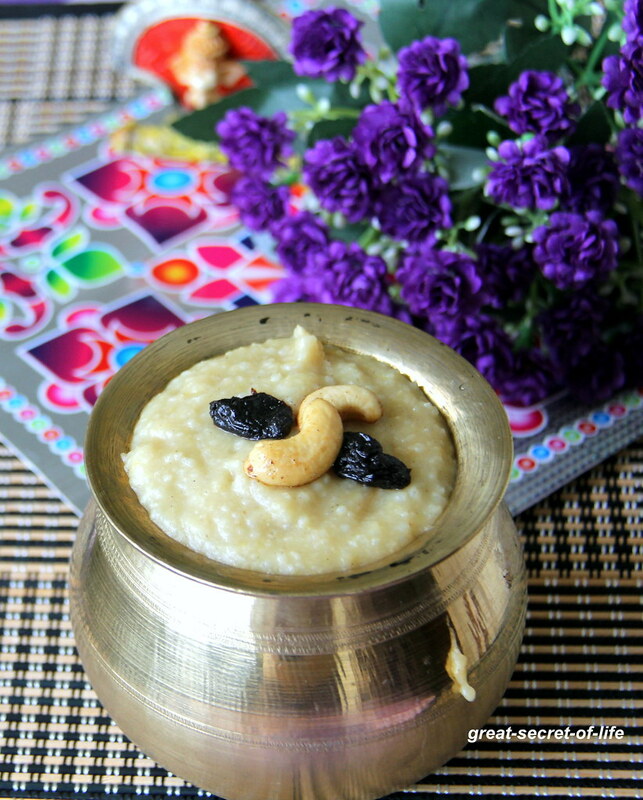 Love the presentation and yummy sweet recipe dear.